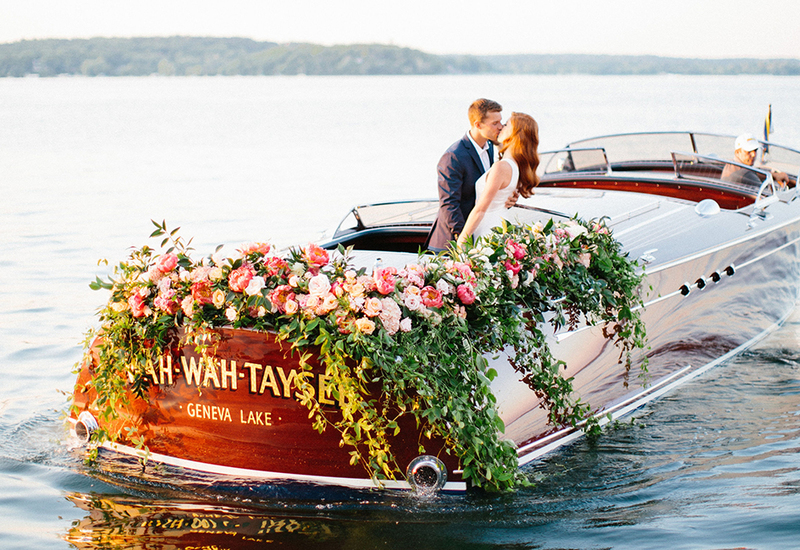 Come aboard a delightful ship of dreams. 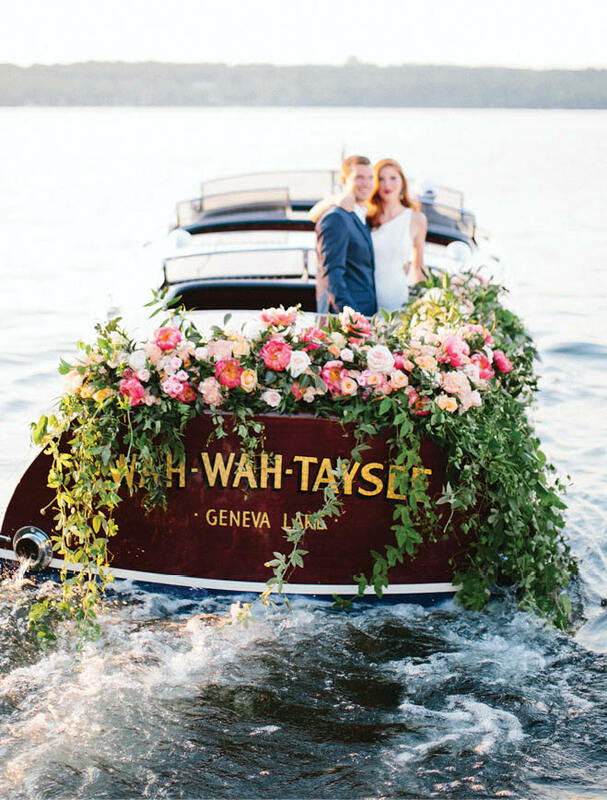 A riot of pink florals and fresh greenery cascades from this creation by Lilypots, as our couple sets off on lovely Lake Geneva. 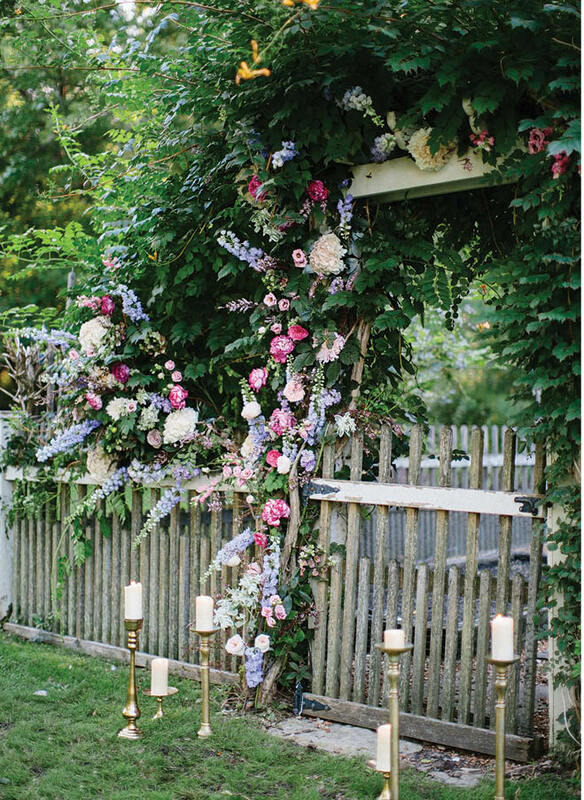 What could be a more glamorous welcome ashore than this luxe outdoor table? 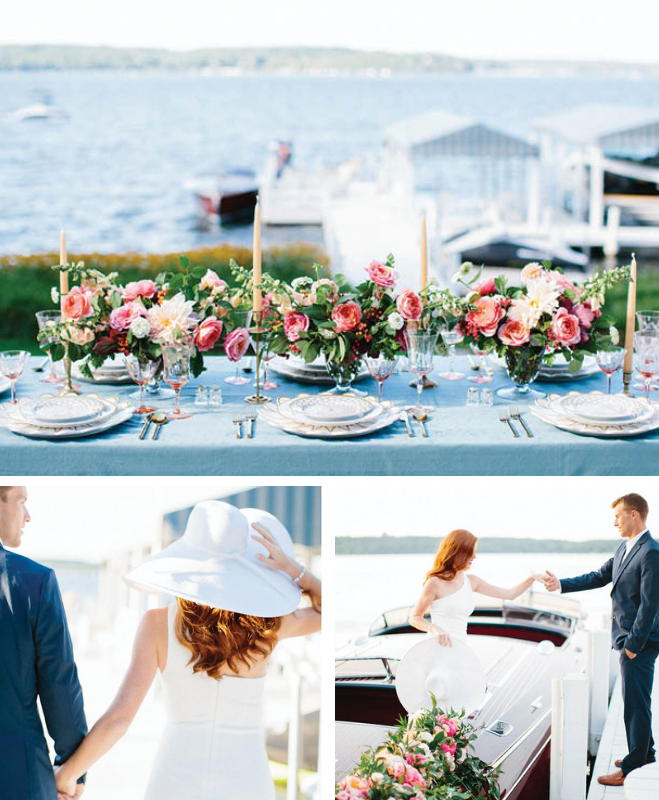 Vintage dishes, flatware and glassware from Gertrude & Evelyn Vintage Rentals pair with classic centerpieces of roses and assorted summer blooms by Milwaukee Flower Co., on a sky-blue tablecloth from BBJ Linen. Elegance is the hallmark of this divine vision from Julie Michelle Cakes, as textured icing evokes wispy clouds reflected in placid waters. 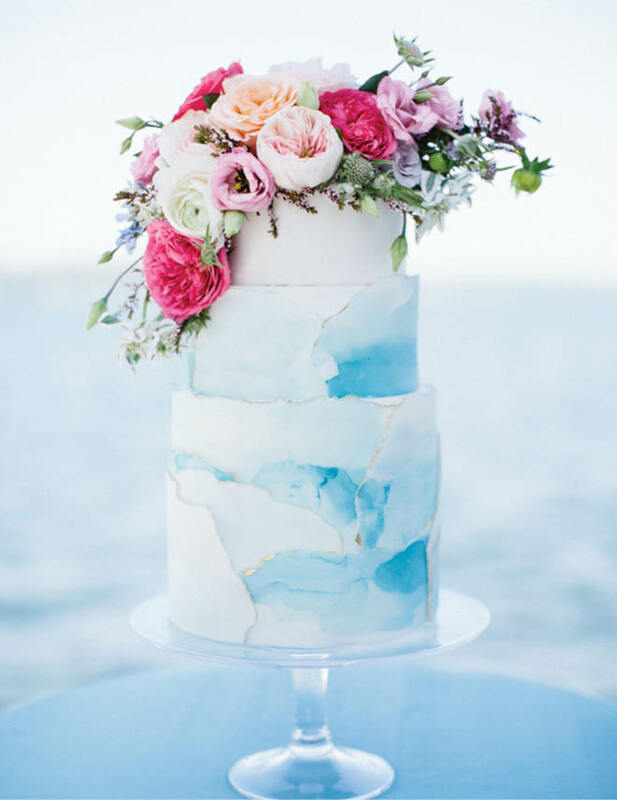 Topped off with a stunning swag of vibrant blooms from Willow Design, this cake is all that a summer wedding should be. 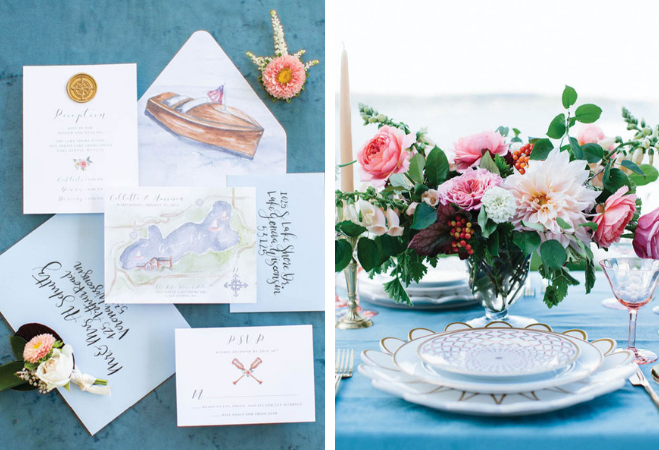 In this nautically themed invitation suite from Windswept Design Studio, whimsical watercolors and cheery calligraphy preview the lakefront wedding. 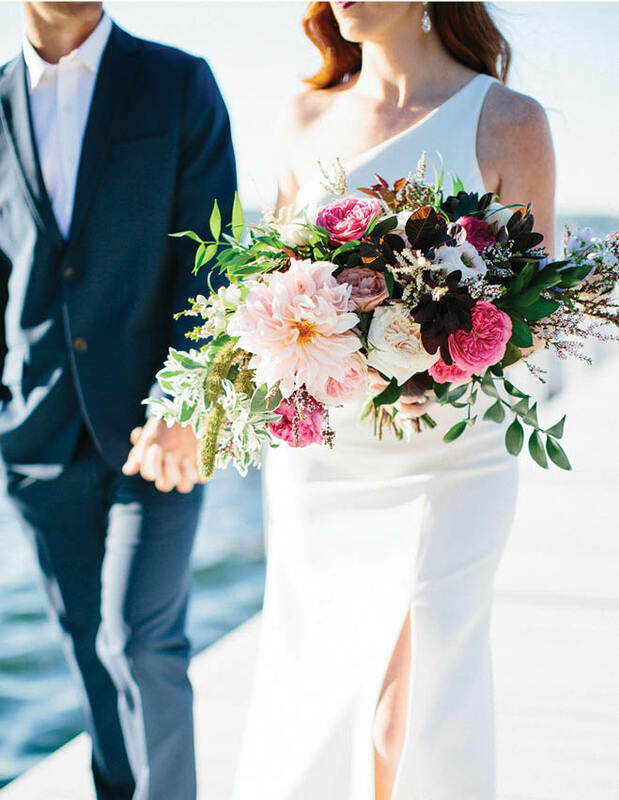 Mini-boutonnieres from Feisty Flowers add the extra flourish that makes it a truly special occasion. Style is everything in the vintage tableware design by Gertrude & Evelyn Vintage Rentals. The layered place setting plays off the rich hues of Milwaukee Flower Co.’s centerpiece overflowing with dahlias and garden roses. 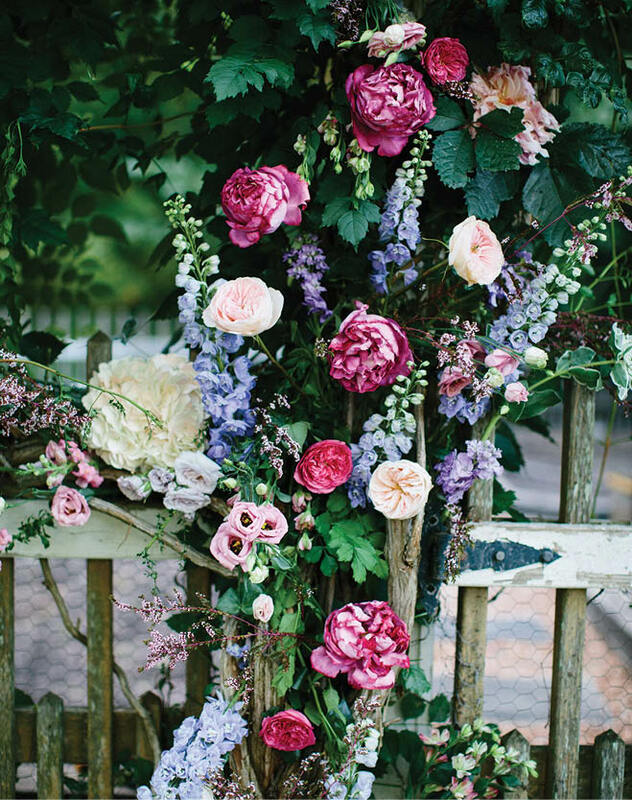 A kiss for luck beneath this bower of flowers and they’re on their way. 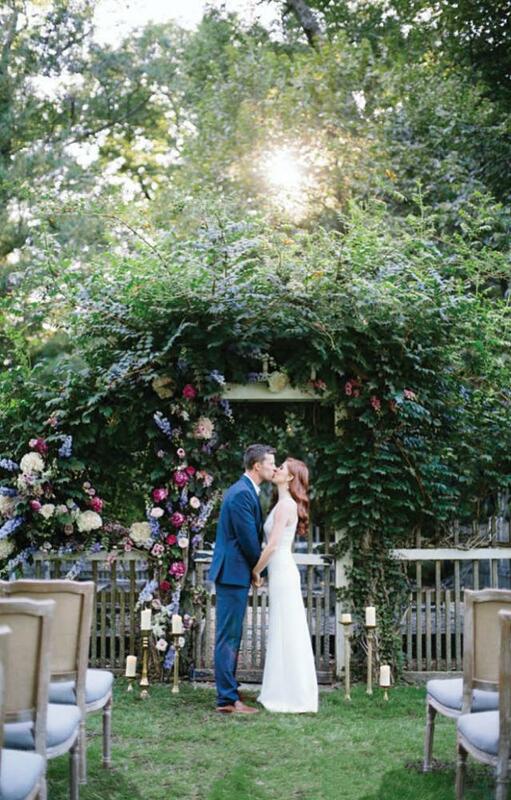 Earth’s flowering wonders and sumptuous greenery unite with the azure shades of water and sky in the florals by Willow Design, with a charming echo in the blue chair seats from Brick & Mortar.